Before you buy an Infrared Sauna, make sure it isn’t constructed from Toxic Wood. If you have allergies, take a look at my Toxic Woods Chart below. 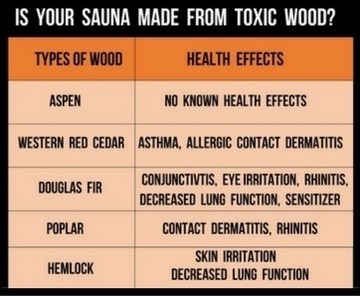 Because I have asthma, a lot of the saunas that were made from these toxic woods really bothered me. I’m a total advocate of Infrared Products for your health. Even if it’s just to relax. After a frustrating day, it’s so nice to lay in an infrared sauna, turn on the music & just let the frustrations melt away. What I like doing is listening to one of my meditation mp3’s. To find an Infrared Sauna Sale, check below each review. Heavenly Heat Infrared Saunas are my #1 pick. This company is phenomenal. Each sauna is hand made & build in Arizona. They’ve been in business since 1988. Along with the many benefits of a Sauna, the Heavenly Heat Saunas are great for people with extreme chemical sensitivities or existing chemical injuries. Also, If your child or someone you know has a child with Autism, Infrared Sauna Therapy might be a good thing to try. There’s a really great video I’ll put at the end of this review. It’s called, “Infrared Sauna Therapy For Autism Recovery“. I’m sure you’ve heard of people using an Infrared Sauna For Weight Loss. Maybe they were just lucky. All I”m saying is, I didn’t notice any weight loss in myself after using one for awhile. I’m not overweight, but a weight loss of 10 pounds would be nice. 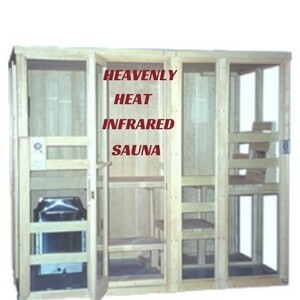 WHERE CAN YOU BUY AN HEAVENLY HEAT INFRARED SAUNA? For my Heavenly Heat Sauna Review, I’m looking for another company that sells the Heavenly Sauna for the same price or lower. I always like to list three. When I find another one, I’ll list it below. Promo Life is a good company. I’ve ordered things from them before. Return Policy and Terms: Returns are accepted if the sauna is shipped back within 30 days of receipt. It must be returned with an Authorization Number & be in the same condition as when it was purchased. You have to pay to return it. I’d be totally shocked if you’d have to return a Heavenly Heat Sauna. For an Infrared Sauna Sale, check both companies below. Sometimes, Ebay has some really good deals on them. 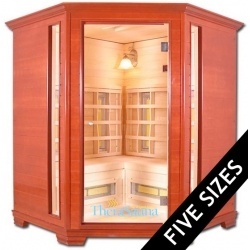 I picked Therasauna as my #2 choice for best Infrared Saunas. To find a Therasauna on sale, check below this review. Having your own Personal Infrared Sauna is one of the best things you can do for your health. I would recommend getting at least a 2 person Infrared Sauna so you can stretch out a bit. WHERE CAN YOU BUY A THERASAUNA INFRARED SAUNA? Don’t forget to check both websites. The prices are not always the same. Maybe today is your lucky day & they’ll be an infrared saunas sale on one of them. 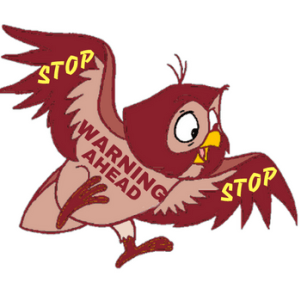 Like with a lot of things, different types of woods can cause allergic reactions for some people. 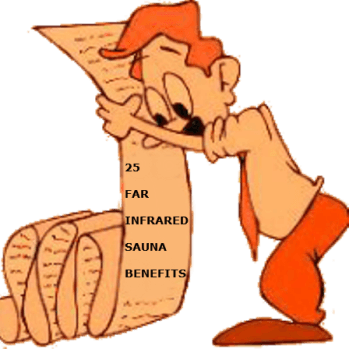 The following is a list of woods that infrared saunas are usually made from. RESOURCES: There are a couple of really good resources on allergies caused from wood. There are many benefits of a sauna but If you have any of the following Health Conditions, ASK YOUR DOCTOR first. Please don’t take a chance & try it anyways. When trying any type of product for your health, it’s always best to talk it over with your doctor first. I will never be able to recommend Infrared Therapy highly enough. 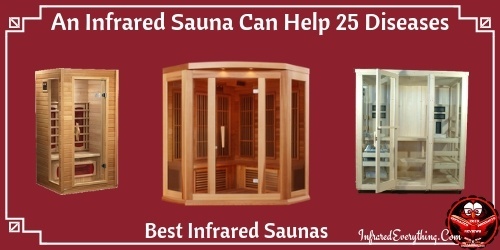 Infrared Sauna Benefits are numerous. Not only do they help to heal your body, they accelerate your recovery time too. You don’t have to wait until you develop some kind of health issue. If you start using Infrared Therapy now, you’ll be able to help prevent some of the following. The following list is only a partial list, but it’ll give you an idea of what type of conditions Infrared is good for. Whether it’s an infrared heating pad or an infrared sauna, they both have the same benefits. If you have more than one health issue, you’d be better off with the sauna. You can send healing to all parts of your body in one sitting. For those who are healthy and would like to keep their entire body in optimal health — your choice should be an infrared sauna. I’ve used Infrared on a number of occasions & have had such awesome results. I used it when I tore my knee ligaments, sprained my back, leg cramps from poor circulation, neck problems & when I fractured my spine from Scoliosis. Start by drinking 16-20 oz of water. Set you sauna between 110-130 degrees F. Give it about 15 minutes to heat up before you get in. You’ll receive more benefits when the temperature is lower. If you have never used a sauna before, spend about 5 minutes in it the first time. Each day you use the sauna, add another minute. Keep doing this until you hit 30 minutes. It’s important to listen to your body. If you start to feel weak, tired or too hot, open the door or simply step out of the sauna. This can happen if you stay in the sauna for too long. When you get out, take a shower to wash off the toxins that are now on the outside of your skin. Once again, drink 8-16 oz of water. When I’m sick, I find I get the best results if I use Infrared Therapy 2-3 times a day for 15 minutes a session. This is something you have to experiment with. My friend with arthritis uses it for 30-minute sessions when she gets a flare up. That works best for her. If you’re not using it for a specific reason, once a day is enough or even just a few times a week. In this Video, Dr. Oz isn’t recommending the 2 saunas I have listed here. He’s just talking about the benefits of using an infrared Sauna. 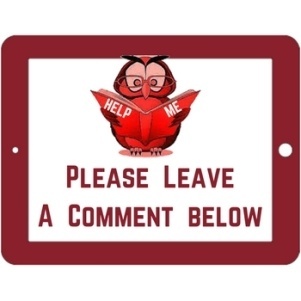 If you’ve used an Infrared Sauna, please leave a comment below. Let us know what you liked & didn’t like about it. If it has helped you, let us know how. Thanks for stopping by. 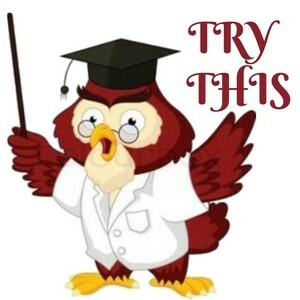 I hope my Heavenly Heat Sauna Reviews, & my Therasauna Infrared Sauna Reviews have been helpful so you can make a decision on what the Best Infrared Saunas are for you. Thanks for dropping by, Colleen. I really don’t like to recommend a sauna that isn’t made from wood. The only reason is, I’ve never used one. 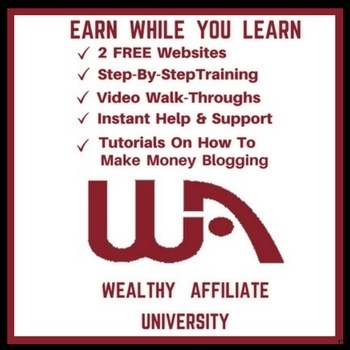 This site is only for the products I’ve used or someone I know really well has used. 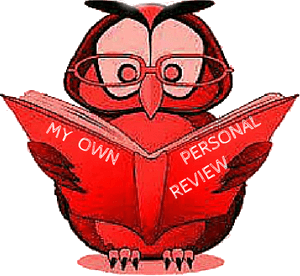 I did look into some of the reviews on the type you’re looking for. A couple of the complaints were, it didn’t heat evenly & the chair was uncomfortable. I’ll leave a link below to the Amazon Review site of Porable Sauna’s. Take a look at them before you purchase one. If you do purchase one or wherever you purchase one from just make sure it has at lease a 30-day MONEY back guarantee. If you do purchase a portable sauna, please come back and leave a review of the brand you bought & what you liked & didn’t like about it. What do you think of the “portable sauna” ? I’ve seen a wrap around far infrared sauna for as low as $150. I’m thinking of less construction involved and it taking up less space too. As for your health insurance, you’d be best to give them a call. I have a different type of health care insurance & it doesn’t cover an infrared sauna. That doesn’t mean yours wouldn’t. As for information on, how a sauna provides the best benefits for different health issues, there’s a lot of good information on Dr. Mercola’s website. There’s also a video there that you can watch on the benefits. The link is, http://fitness.mercola.com/sites/fitness/archive/2016/09/09/sauna-bathing.aspx This is the site I usually go to for alternative health issues. I’m not a medical doctor, so that’s about the only advice I can give you. I hope this helps. Thanks for your comment, Tina. I briefly looked at Heavenly Heat. Their saunas are also made from aspen wood which I like becuse aspen has no known negative health effects. Saunaray is made from Basswood. I don’t think Basswood has any health effects either. I will do some more research on both & then do a review. Thank you for bringing this to my attention. Thanks for posting this review. Just wondering if you looked at either Heavenly Heat or Saunaray also when comparing? I’m looking into buying one and both those seem good as well. They also have ceramic heathers and are made in US or Canada with a lifetime warranty. You’re welcome. I’m all for using infrared for your health.